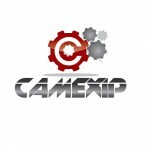 S.C. CAMEXIP S.A. is a Romanian company, placed in Baicoi Town, near the City of Ploiesti. The company was established in 1978, being component of a national holding, belonging to The Ministry of Chemical & Petrochemical Industry. The initial name was IUPC, but in 1991 the company was transformed in a public share incorporated company, with a new name – the actual CAMEXIP. In 1997 it has concluded the privatization process. The factory was built as a mono-block hall of 16,000 sqm, in which the whole technological manufacturing process takes place and the activity is organized on different groups of tools, gradually placed in accordance with the technological demands. Over 150 employees are working for providing the best quality products. As regarding the implementation of the development program and of the revenue and expenses budget it is worth mentioning the positive aspect of exceeding the export program. In the last years, our export reaches over 75% of the total turnover. 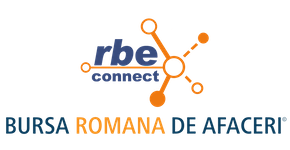 Over the years we have established strong business relations with companies from: Romania, USA, Canada, Brazil, Australia, Germany, Great Britain, France, Norway, Italy, Spain, Netherlands, Belgium, Austria, Luxembourg, Kazakhstan, China, Singapore and so on. The clients of our products are companies like: British Petroleum, Total, Shell, Chevron Texaco, OMV, Kaz Munay Gas, Lukoil, General Electric, Renault, Michelin, Alstom, Flowserve, ABB, Timken, Unilever, Coca-Cola, Mars and so on. The quality system has been certified by TUV Austria, in accordance with the quality assurance SR EN ISO 9001:2008, ISO 14001:2004; OHSAS 18001:2007. Our factory responds to requirements for all types of metallurgy in compliance with European, American or other specific standards: carbon steels, alloy steels, low alloy steels, corrosion resistant steels, high alloy steels (Incoloy, Hastelloy, Inconel), stainless steels, copper, aluminum, Monel, Duplex etc. From receipt of raw materials to production and shipment of finished products, strict control methods are applied by qualified personnel, including: destructive tests for mechanical tests, non destructive tests, chemical analyses (spectrographic). Camexip manufactures a very large range of equipment for many industries: Oil & Gas, Chemical & Petrochemical, Energy, Tire, Rubber & Plastic, Cellulose & Paper, Building Materials, Food, Pharmaceutical, Hydro technical, Metallurgy etc. Camexip is equipped with special machining facilities, besides the regular tools. We are able to machine products up to Ø5,000 mm and 13,000 mm long. We want to achieve consistent and long-term growth of our business, transforming Camexip into a leading company in equipment manufacturing. We want to be a reliable supplier of equipment on the international market. Our company produces structural steel projects. The productions are made in international quality standards. Firmamız yapısal çelik projeleri üretmektedir. Üretimler uluslararası kalite standartlarında yapılır.